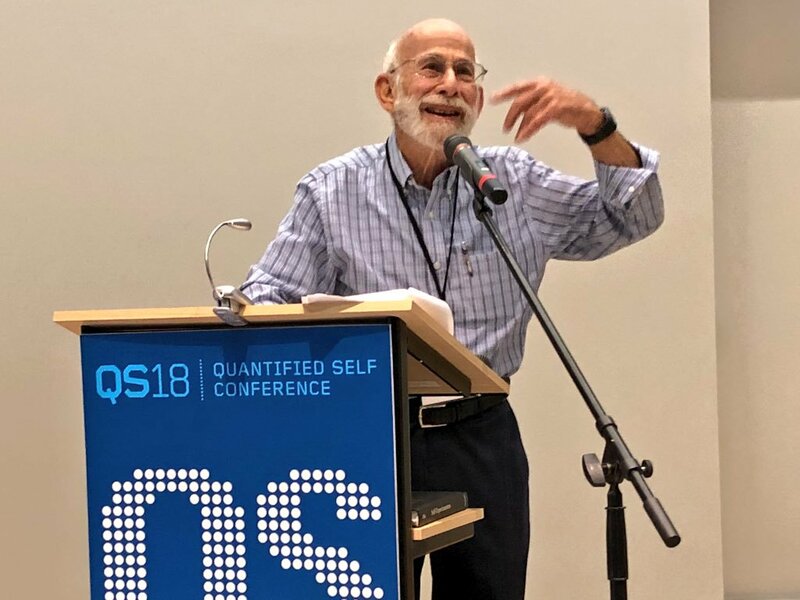 Self-trackers, toolmakers, and public health leaders associated with the Quantified Self community have been collaborating on tools, events, and research to support everyday science since 2011. The links below contain brief descriptions of some of our completed and ongoing projects. If you are aligned with our mission and think we might be able to help please get in touch. The One Button tracker, in development with Totti Labs, provides simple instrumentation for securely and accurately recording self-observations. The 3-D printed case contains an Adafruit feather board with a GPS chip for automatically setting the time. 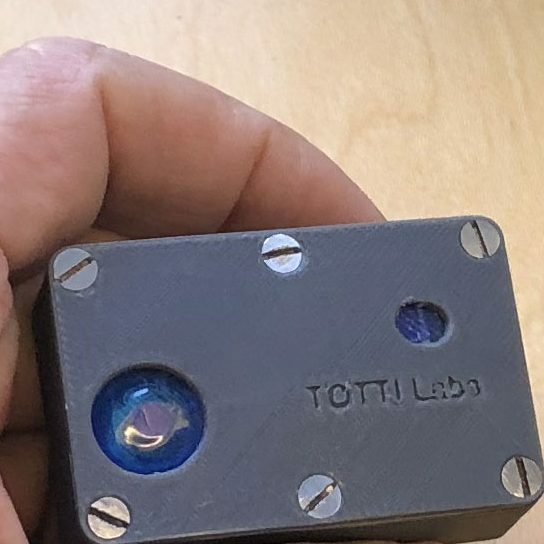 The One Button tracker, in development with Totti Labs, provides simple instrumentation for securely and accurately recording self-observations. Both hardware and software can be customized by technically proficient users. The current prototype is in test use for a variety of self-tracking projects in the Quantified Self community The One Button is based on insights from over a decade of participation in the Quantified Self community by developers Thomas Blomseth Christiansen and Jakob Eg Larsen. QS Access is a free iOS app that gives you your HealthKit data in tabular format so that you can explore it using Numbers, Excel, R, or any other common spreadsheet tool. Choose which metrics you'd like to see, then send a .csv file to yourself via email or text. No data is collected by any third party, including us. QS Access is a free iOS app that exports your HealthKit data in a tabular format so that you can explore it using Numbers, Excel, R, or any other common spreadsheet tool. Choose which metrics you'd like to see, then send a .csv file to yourself via email or text. That's it. No data is collected by any third party, including us. We created this app to help overcome a common barrier to getting started on a QS process: accessing your own data in a format that allows you to explore it on your own. In this year long collaborative self-tracking experiment, members of the QS community measured their blood cholesterol as often as hourly. Every participant crossed a risk category based solely on time of day. In this year long collaborative self-tracking experiment, members of the QS community measured their blood cholesterol as often as hourly. 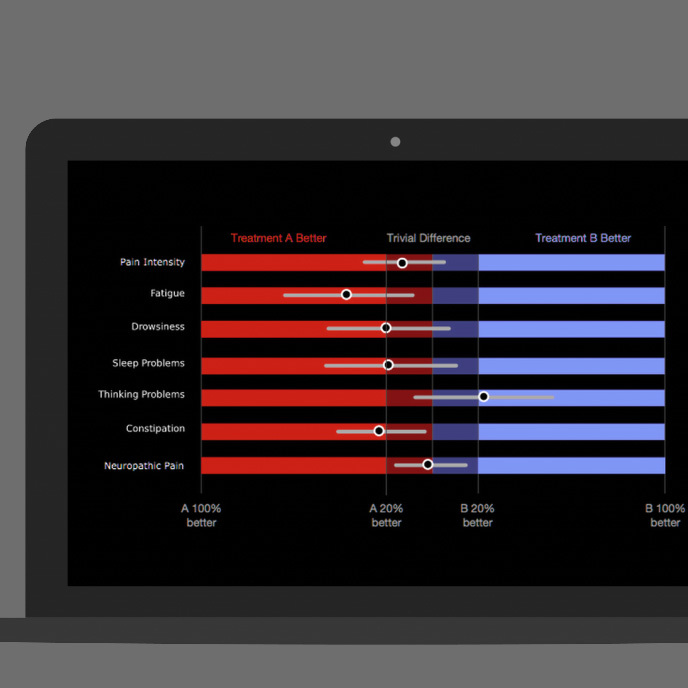 Designed to explore and showcase the potential of participatory research designs, this project also had a surprisingly powerful scientific result: every participant crossed a risk category based on time of day. The group carried out careful ethical review and participants supported each other in doing data analysis. 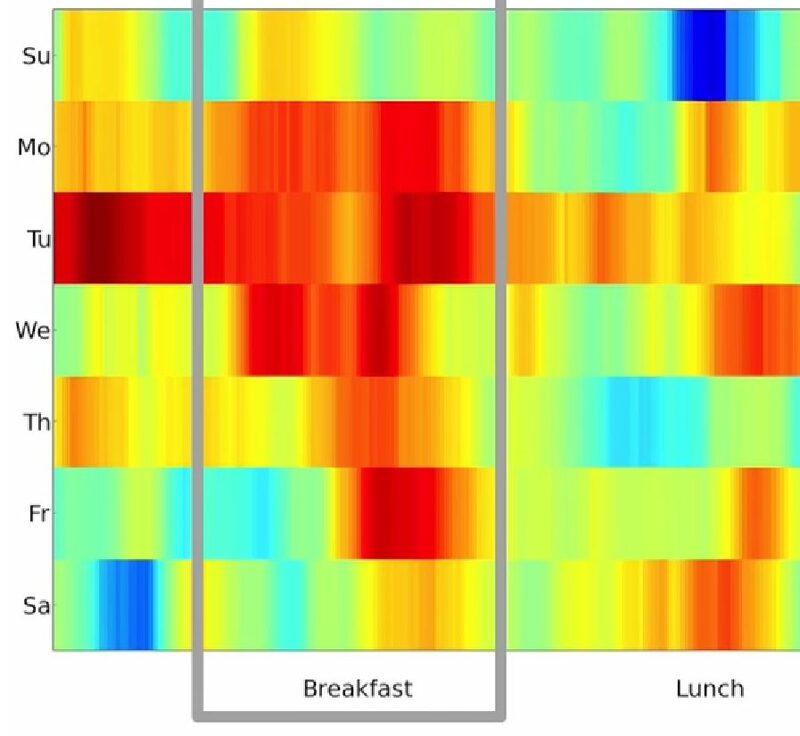 Every participant crossed a CVD risk category by time of day in at least one lipid output, and 80% of participants crossed a risk category based on time of day when only fasting measurements were considered. Data from the project suggests that a single point measure may be inadequate for understanding cardiovascular risk. QCycle is a participant-led research (PLR) project focusing on physiological change across the ovulatory cycle, using continuous body temperature with iButtons, and a range of other self-collected biometrics. 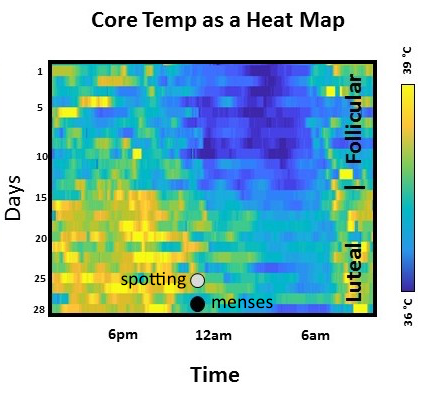 QCycle is a participant-led research (PLR) project focusing on physiological change across the ovulatory cycle, using continuous body temperature with iButtons, and a range of other self-collected biometrics. 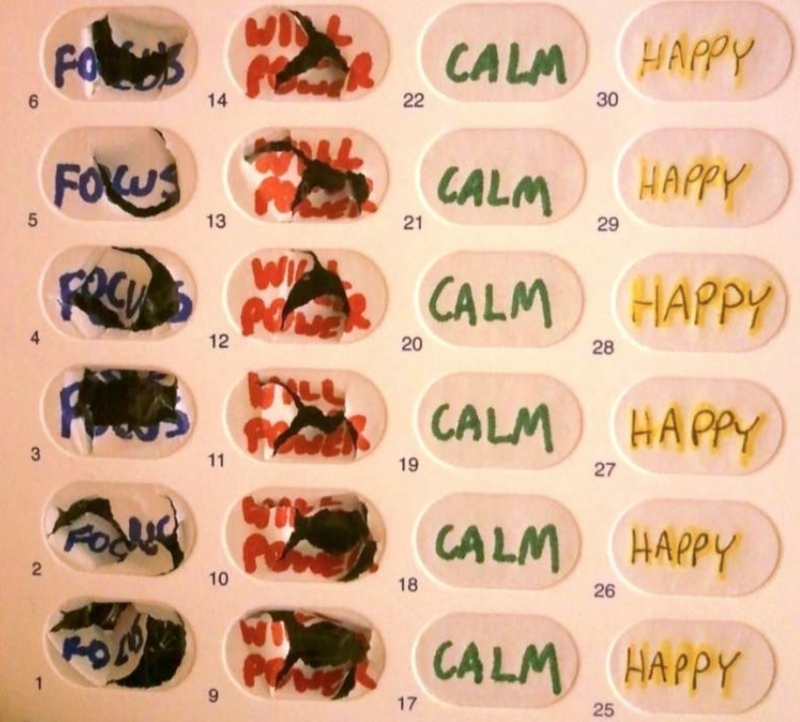 We're a mix of researchers, computer scientists, engineers, and self-trackers looking to predict our ovulation, and investigate links between our cycles and mood, HRV, productivity and more. Following our QS Bloodtesters project, QCycle pioneers new approaches to research consent, peer learning, and citizen science using open tools. In 2018 we convened the first formal workshop for science leaders, journal editors, and policy makers to explore appropriate systems for review and dissemination of research based on self-collected data. Supported by the Robert Wood Johnson Foundation. Pain is one of the most important topics in the Quantified Self community. In this workshop and research challenge we gathered 55 highly innovative toolmakers, researchers, and advocates to address the need for better ways to approach tracking and managing pain. Pain is one of the most important topics in the Quantified Self community. In this workshop and research challenge we gathered 55 highly innovative toolmakers, researchers, and advocates to address the need for better ways to approach tracking and managing pain. 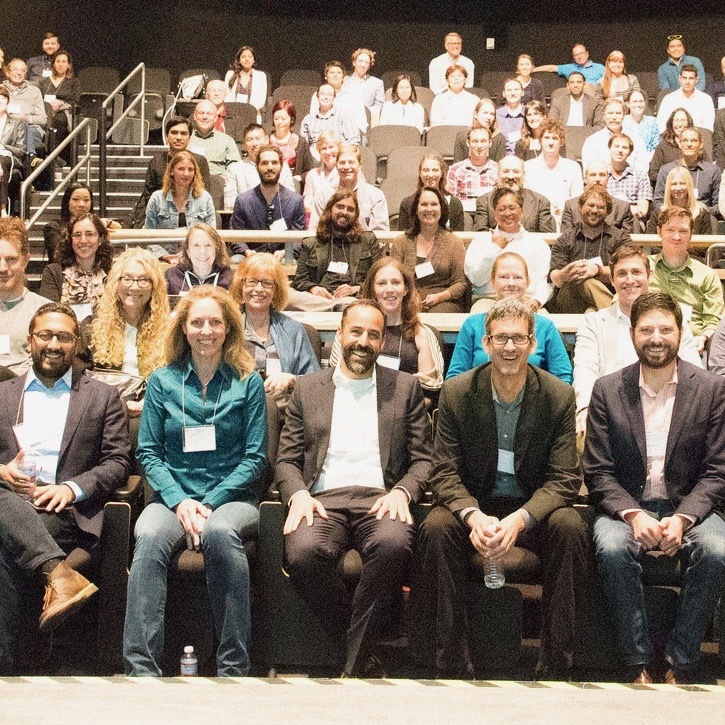 Participants brought immense cross-disciplinary expertise to this workshop on what's possible and what's missing in the landscape of pain assessment and management, encouraged by a $10,000 cash prize from our collaborators at Bayer Healthcare. Scientific progress in medicine and public health during the last century has been dominated by studies performed with groups of people. 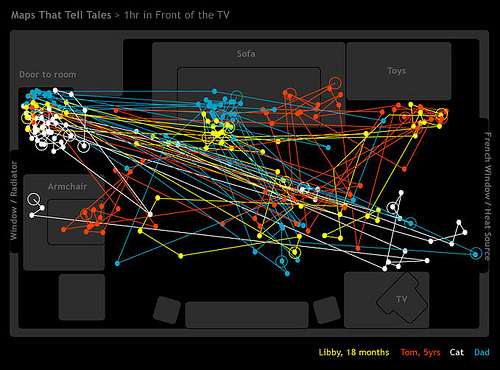 In Quantified self projects, by contrast, people collect data to help answer a question relevant to them individually. Thie collection of articles explored informatics methods appropriate for analyzing self-collected data both for individual discovery and for contributing to clinical and research knowledge. 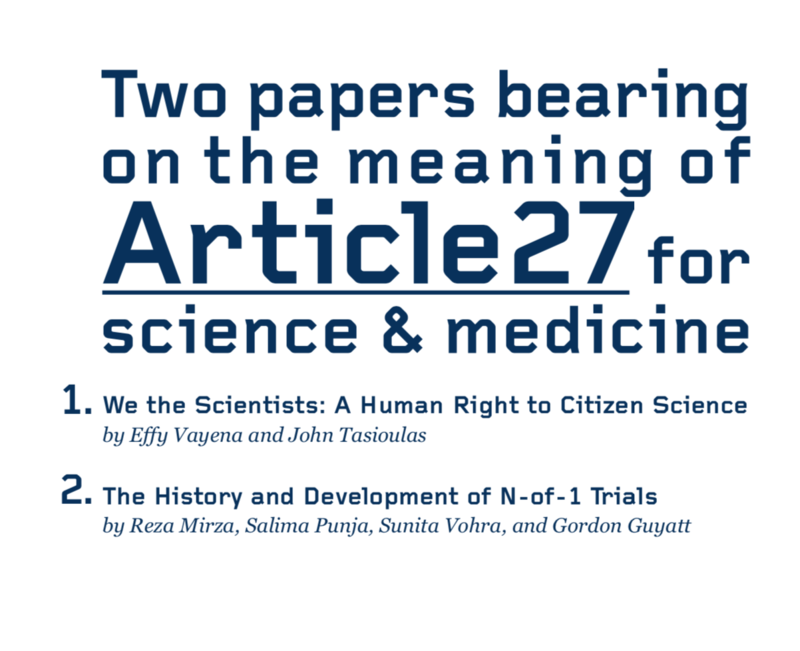 For the 4th Quantified Self Public Health Symposium we published a pamphlet reprinting two key academic papers bearing on the renewed relevance of Article 27 of the Universal Declaration of Human Rights, which guarantees a human right to participate in science. For the 4th Quantified Self Public Health Symposium we published a pamphlet reprinting two key academic papers bearing on the renewed relevance of Article 27 of the Universal Declaration of Human Rights, which guarantees a human right to participate in science. A PDF of the pamphlet is freely available for reading or printing at the link. Allen Neuringer launches the conference with images from thirty years of teaching self-experimentation. Mad Ball deals with a serious fear about inherited disability by doing a self-conducted genetic study during pregnancy. Jordan Clark registers emotional reactions to racism. And Thomas Christiansen uses GPS to discover what plants make him sneeze. Allen Neuringer launches the conference with images from thirty years of teaching self-experimentation. Mad Ball deals with a serious fear about inherited disability by doing a self-conducted genetic study during pregnancy. Jordan Clark registers emotional reactions to racism. And Thomas Christiansen uses GPS to discover what plants make him sneeze. For the first time, we brought our conference to Portland, Oregon, hosted by Ziba Design. 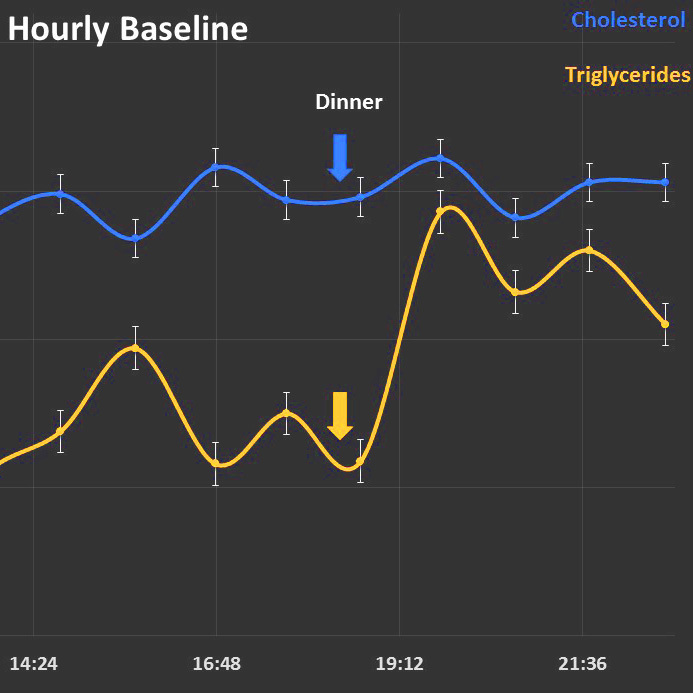 A novel participatory research project has self-trackers measuring their blood cholesterol as often as once an hour. Pioneers of N-of-1 methods in science give a frank account of successes and failures. And senior leaders at NIH "All of Us" initiative set an agenda for connecting clinical research with the emerging practices of the Quantified Self to accelerate progress in cardiovascular health. Pictured: Dr. Sunita Vohra (at podium), Centennial Professor in the faculty of Medicine at the University of Alberta, and lead author of the CONSORT extension for reporting N-of-1 trials. Dr. Steven Steinhubl (seated) Director of Digital Medicine at the Scripps Translational Science Institute. A photo lifelog with more than 7 million images. Hour by hour ketone tracking. An artist's 3-D sculptures incorporating twenty years of location data at one-minute-resolution. And a record of time, place, intensity, and cause for 394 episodes of crying. Image: Detail from work by Stephen Cartwright. Addressing equity in the development of projects using self-collected data, this year's symposium gives us a chance to meet youth health organizers from the Karuk tribe in the Klamath Basin, the creators and users of the Do-It-Yourself Pancreas System, and key advocates and policymakers for a public infrastructure for health data access. Pioneering users of the DIY Automatic Pancreas System take the stage to describe how they are using their community-build closed loop technology to manage Type 1 Diabetes. Something's happening. People are becoming more curious about themselves. Everybody's working on something, struggling with something, trying to achieve or learn something. And to do it they're tracking their time, location, strength, sleep, pain, food, love. 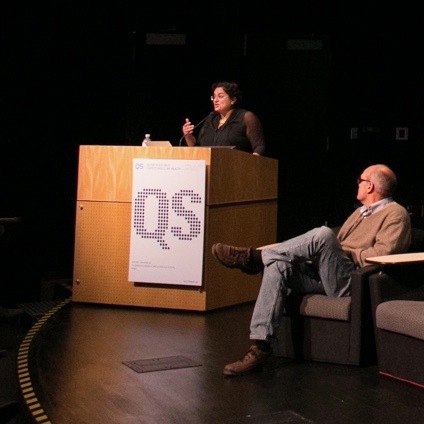 In June of 2015, the first ever QS Exposition brought over 2000 people together to learn how to find their own answers with their own data. Finnish engineers bring a prototype of the Oura ring. Hackers bring DIY instruments powered by Arduino. A cancer researcher self-diagnoses an autoimmune disease. A distracted driver uses his iPhone data to incriminate himself. And a middle school teacher teaches us to read 700 words per minute. 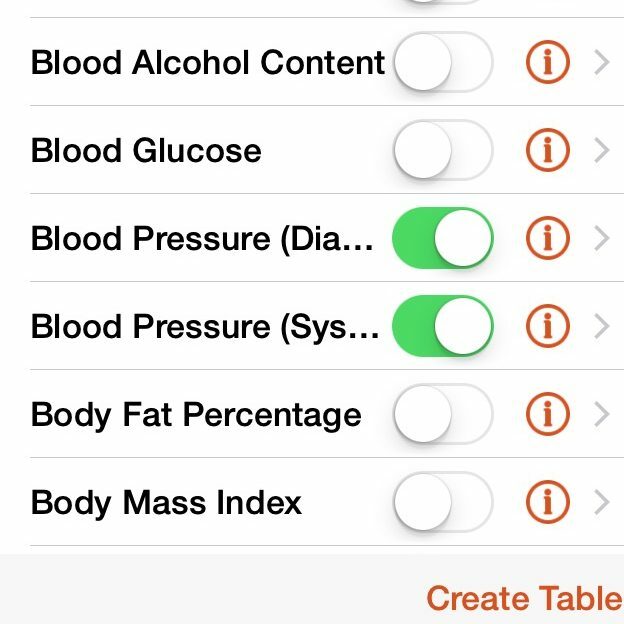 We distribute a free app that that lets you view your Apple HealthKit data in a table. Bob Troia makes a map of electromagnetic radiation in his New York apartment. Valerie Lanard tracks quitting TV. Bethany Soule records her face for an entire week. And Paul LaFontaine measures HRV at work to discover just what's stressing him out. Image: Detail from Bob Troia's map of EMR measurement in his New York apartment. 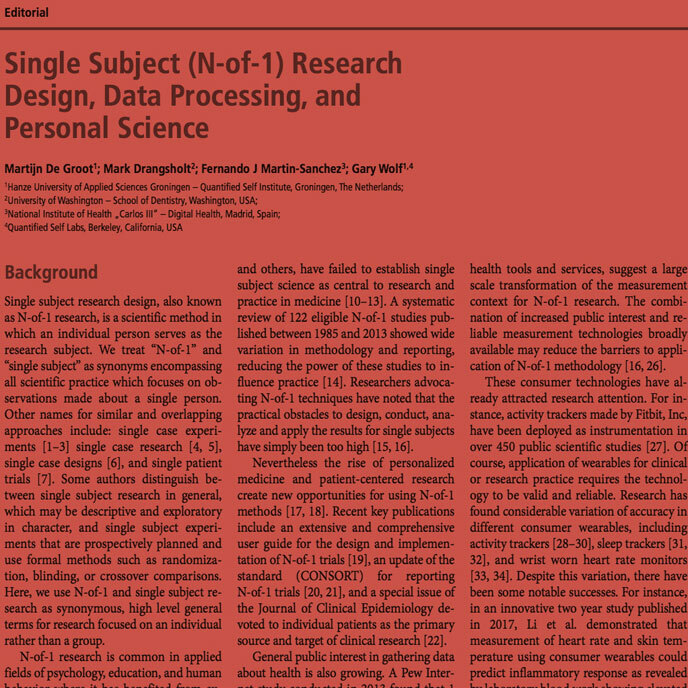 Dawn Lemanne and Mark Drangsholt and explore the prospects and challenges of N-of-1 research. Bob Evans lets us try his open source app, PACO, to set up an everyday science experiment in minutes. 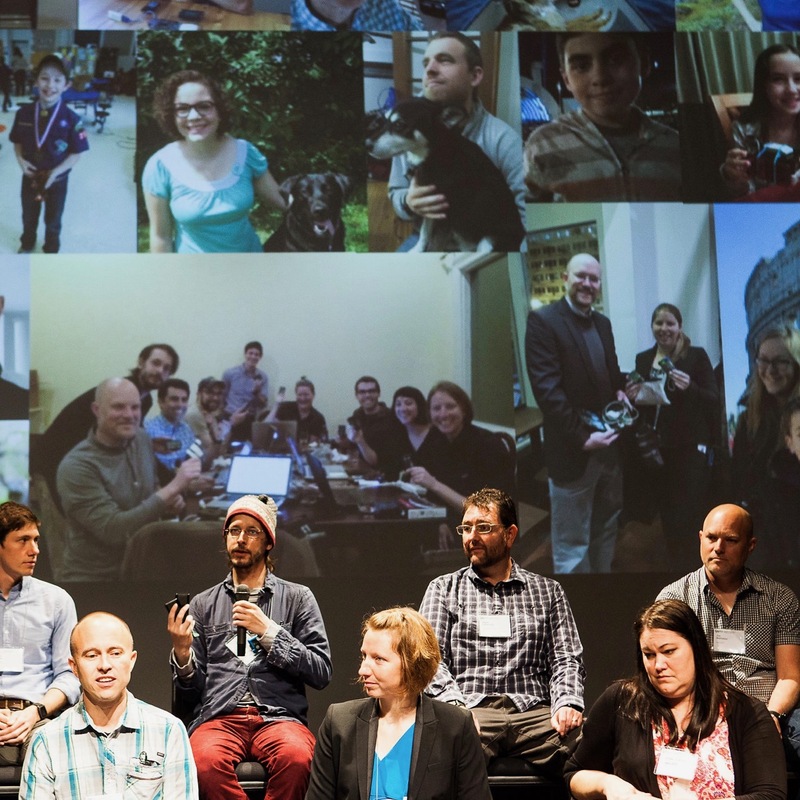 And we spark a conversation between diabetes hackers and the FDA. A small accelerometer worn on the clothes to track breath. A headset that battles pain with VR games in imaginary snow. And a perfect simulation of a pharmaceutical capsule offering the world’s first branded placebo. At the end of the day, over fifty toolmakers, clinicians and people who manage chronic pain vote on who should receive the $10,000 challenge prize. Pictured: Jacqueline Wheelwright, pioneering self-tracker and health coach. Crt Ahlin visualizes data from a million heartbeats. Jessica Richman keeps an updated list of the microbes in her gut. Maximilian Gotzler learns that certain foods make his testosterone drop. And Dr. Dana Greenfield offers a profound talk about tracking the memories that broke into her thoughts after the death of her mother. 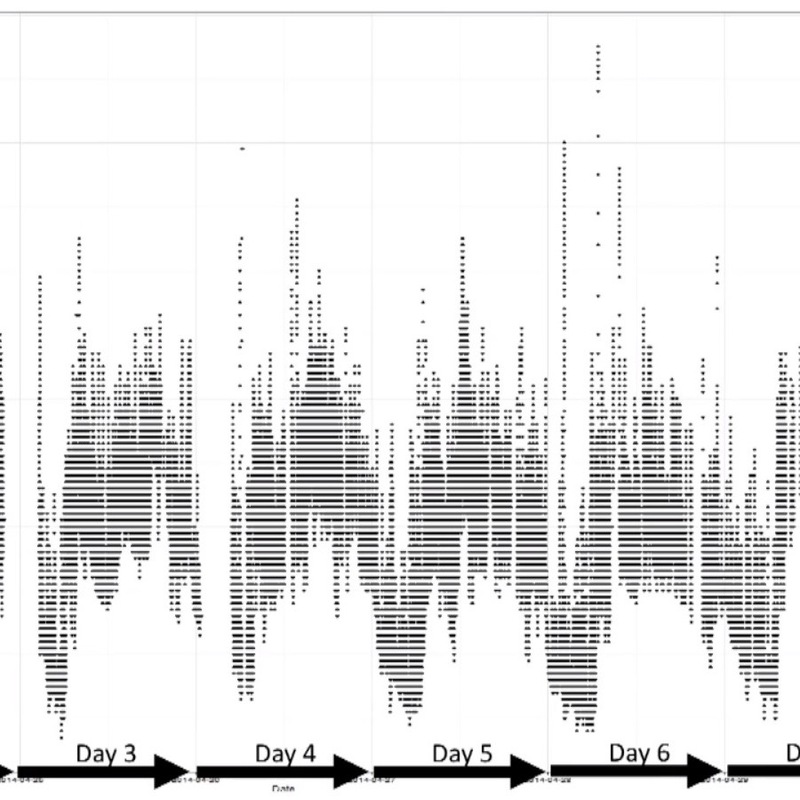 Pictured: Detail from Crt Ahlin's visualization of his heartbeats across multiple days. Our first QS Public Health Symposium addressed the potential for self-collected data to inaugerate a new research program in the human sciences. 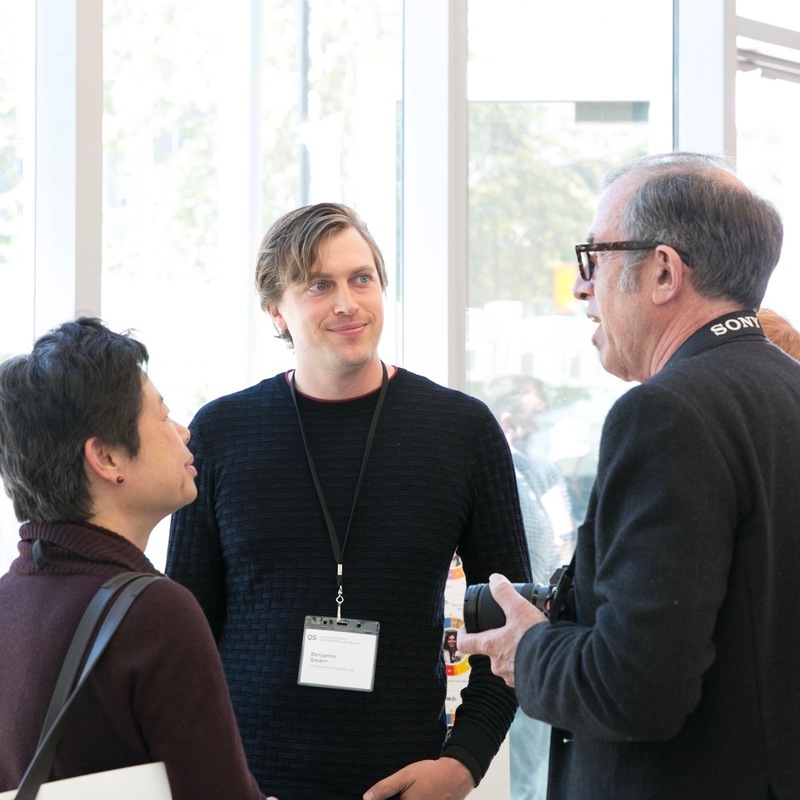 This path-breaking symposium was supported by the Robert Wood Johnson Foundation and convened in collaboration with the Qualcomm Institute at UC San Diego and the US Dept. of Human Resources, Office of the CTO. 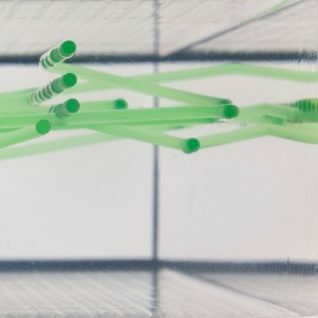 Our first QS Public Health Symposium addressed the potential for self-collected data to inaugerate a new research program in the human sciences. 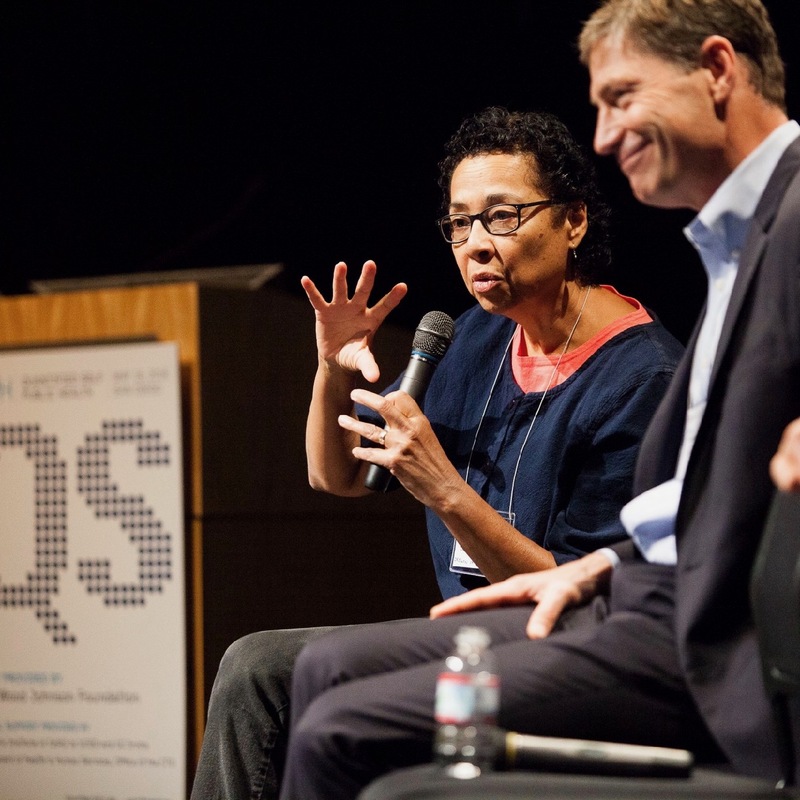 This path-breaking symposium was supported by the Robert Wood Johnson Foundation and convened in collaboration with the Qualcomm Institute at UC San Diego and the US Dept. of Human Resources, Office of the CTO. Attendees included science and public health researchers working closely with personal data, including researchers associated with the US Dept. of Health and Human Services, National Cancer Institute, and NIH; key health policy decision makers, and research liaisons from companies that make self tracking tools. A mother investigates her son's blood sugar spikes and uncovers a stressful classroom situation she didn't know about before. 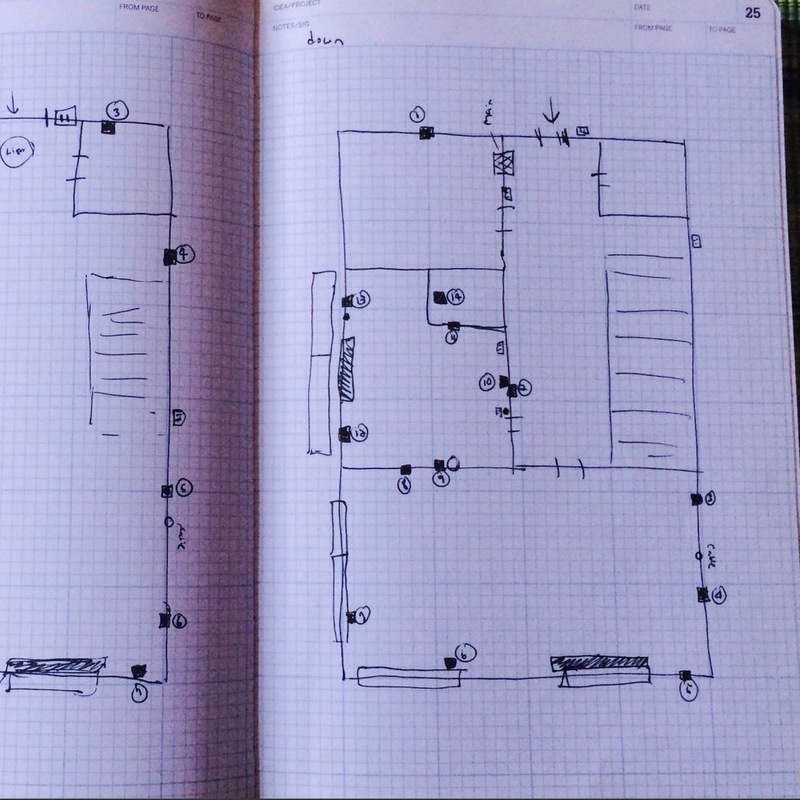 A granddaughter presents a beautiful lifelog from a time when all self-tracking was by hand. And three founders of early QS companies talk frankly about why their project failed. Image: Detail from Vivian Ming's Show&Tell presentation, "Tracking My Son's Diabetes." Pioneers of photo lifelogging, Niclas Johansson and Petri Määttä, bring their prototype "Memoto" mini-camera (later renamed the Narrative Clip) that snaps an automatic picture every 30 seconds. We get ahead of the coming cultural crisis by clipping four cameras to four anthropologists and sending them off for the day. The rest of us practice telling them "don't lifelog me." 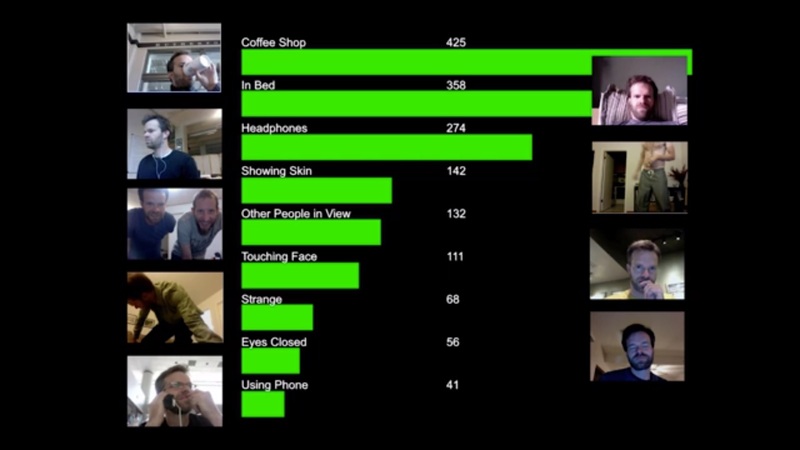 Image: A slide from Stan James' show&tell presentation about having his computer take a photo of his face every 30 minutes for a year. 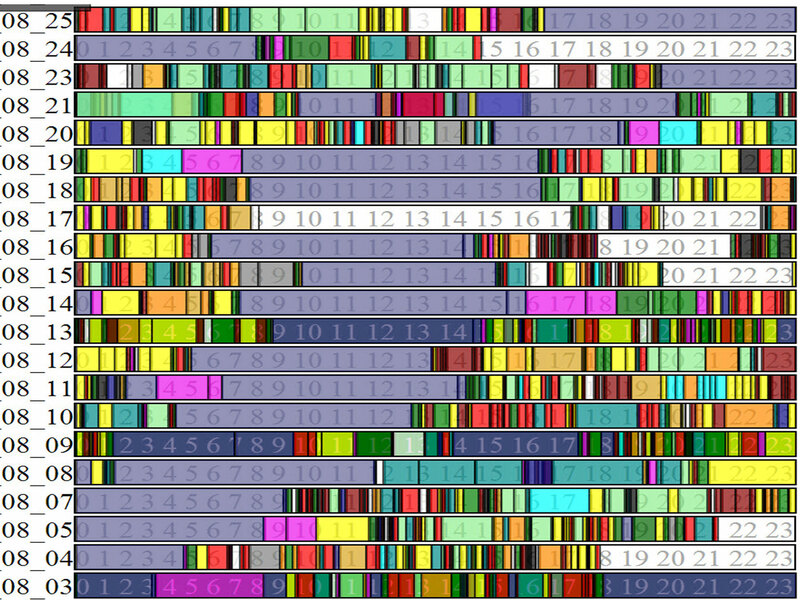 Philosopher Ann Wright shows her integrated tracking timeline that zooms in and out at any scale. Sasha Chua explains how to she uses DIY tools to track every item in her closet and make a diary of what she wears. And Joe Betts-LaCroix give gives us data from his personal experiment living his life in weeks of six twenty-eight hour days. 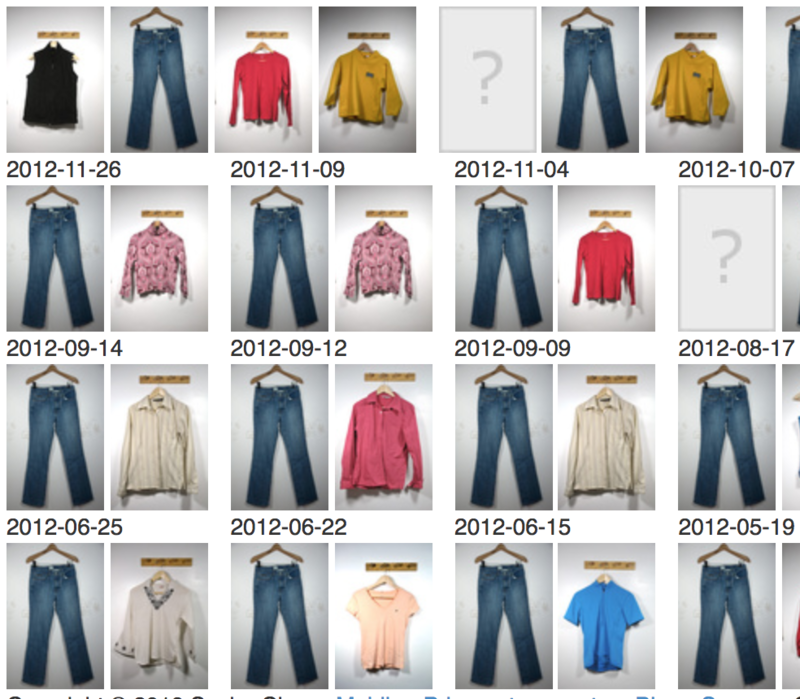 Image: Detail from Sacha Chua's clothes tracking diary at Quantified Awesome. Danielle Roberts takes her decibel meter out to find the most silent places in the city. Martha Rotter's diet experiments reveal that Irish cows cause her acne. Hind Hobeika makes goggles to track her heart rate in the pool. Welcome to our first European conference, hosted by the founders of the QS community in the Netherlands. Image: Detail from Wren Dougherty's presentation on using placebos to track state of mind. It's our very first conference. Self-trackers from all over the world discuss: "What is the Quantified Self?" We get a look at a novel sleep tracking headband called Zeo. Jason Jacobs demonstrated how he uses GPS to track his activity using a new app called Runkeeper. And Fenn Lipkowitz offers a multi-year activity diary accurate to 15 minutes that tells him he doesn't do as many dishes for his roommates as he thinks. It's our very first conference. Self-trackers from all over the world discuss: "What is the Quantified Self?" We get a look at a novel sleep tracking headband called Zeo. Jason Jacobs demonstrated how he uses GPS to track his activity using a new app called Runkeeper. And Ben Lipkowitz offers a multi-year activity diary accurate to 15 minutes that tells him he doesn't do as many dishes for his roommates as he thinks. Image: Detail from Fenn Lipkowitz's time tracking diary.